Wall tile installation plays a very important role in your bathroom décor and the overall look and feel of this popularly used area. 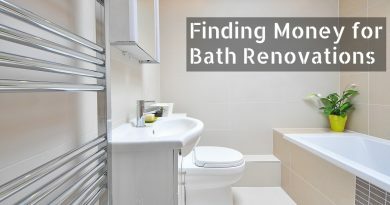 Whether you are looking for a traditional or more modern washroom setting, laying tiles on a bath wall can help to create the perfect atmosphere; however, this is more easily said than done given the various details that have to be taken into consideration regarding floor and wall tile installation. Wall tiling involves careful planning and a list of procedures that cannot be overlooked to get the best possible results during and after the installation process. These simple procedures do not require special expertise and can be done by any DIYer that wants to get involved in his or her home improvement project from laying tile to the layout of faucets and accessories. The common issue that most home renovators face as it relates to installing tile is that they are unaware of the professional tips and tricks that can make their work a lot easier and the necessary steps that should be taken to get the best possible results. All buildings and construction projects that are fabricated in the United States have to abide by regulations that have been established by the relevant municipal governing body—this even includes wall tile installation. When you are laying your bathroom tiles, you should ensure that you are doing so according to what the ANSI (American National Standard for Installation of Ceramic Tile) considers as being within their standards. If you do not do this before you tile your bath, then you could be at a serious disadvantage when you try to sell your home, and the potential buyers find out you have installed your bathroom wall tiles that do not measure up to building code regulations. 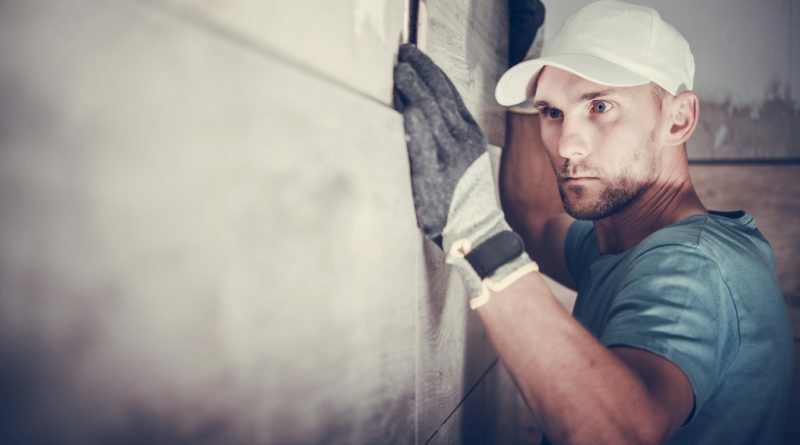 In-wall tile installation, the plumb of your wall and floor play an important role in ensuring that your tiling is done professionally without any strange outcrops or irregularities on the surface. To solve this problem of leveling and squaring your pieces, you can use a level or laser on both your wall and floor bath tile or plumb bob on just the wall. The size of your pieces is also a significant factor that has to be taken into consideration. The larger your slabs, the less pieces you will need to finish the job and the easier the whole process will be as well. However, you should ensure that you do not use excessively large mosaics that are heavy because these will be difficult to remain in place when the thinset cement is still fresh and has not yet set. Creating a grid layout for your mosaic is another important aspect that should be done prior to the inlay process. When laying pieces, it is always best to work from the inner part of your wall to the outer edges and not the other way around. This is because of different shapes and forms that are on the outer edges and corners of your bathroom walls. When you use a grid system as a guide continue to follow this pattern you will find that the whole process of putting tiles on your wall is a lot easier. You can also use the baseboards along the bottom of your bath walls to guide the process and help maintain a straight line of pieces. You will need a ceramic tile wet saw with a diamond blade for special cuts around fixtures and odd shaped areas in your bathing space. Your wall tiles should be installed on a smooth flat surface that is free from any type of dirt or irregularities. If you are putting in tiles in a predominantly wet area, you may need to install wallboard with a waterproof membrane or cement backer board to give your tiles even more support and protect the wall from water penetration in areas such as showers and bathtubs. The good thing about wall tiles as compared to the flooring process is that you do not need to worry about the thinness of the pieces you choose for walls. This is because no direct force will be applied to your bathroom walls and as such the chances of breaking one because you leaned on it is extremely rare at best. This is not the case when you are laying tiles for bathroom floors because they have to be able to consistently support the weight of people walking on them. Therefore bathroom floor tile should not be too brittle and must be purchased with the thickness and durability of the tiles in mind. 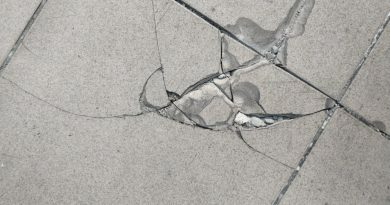 If you are installing wall tiles in an area that will be predominantly wet, then it is best to use semivitreous tiles or tiles that are specially made for areas with excessive water such as glass tiles. Grouting application is also an important part of wall tile installation process when you are finished laying your wall tiles. 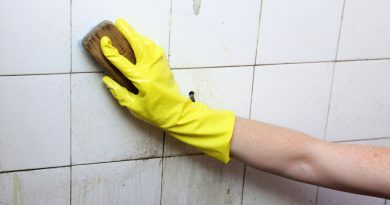 To avoid having a messy grout finish and lots of clean up, you will need to use a grout that is thick, and that does not flow easily when applied in a vertical fashion. This will minimize waste and also make the whole wall tile installation faster, easier and a whole lot cleaner.